This pathway, known as Ras-ERK, involves two important families of proteins. The first, known as Ras, is a group of enzymes that sends signals from the cell membrane to activate other proteins inside the cells. These Ras-activated proteins include a family of proteins known as extracellular signal-related kinases (ERK). Together, Ras and ERK ultimately play roles in cell proliferation, differentiation, metabolism and motility–physiological processes that often go awry in cancer. 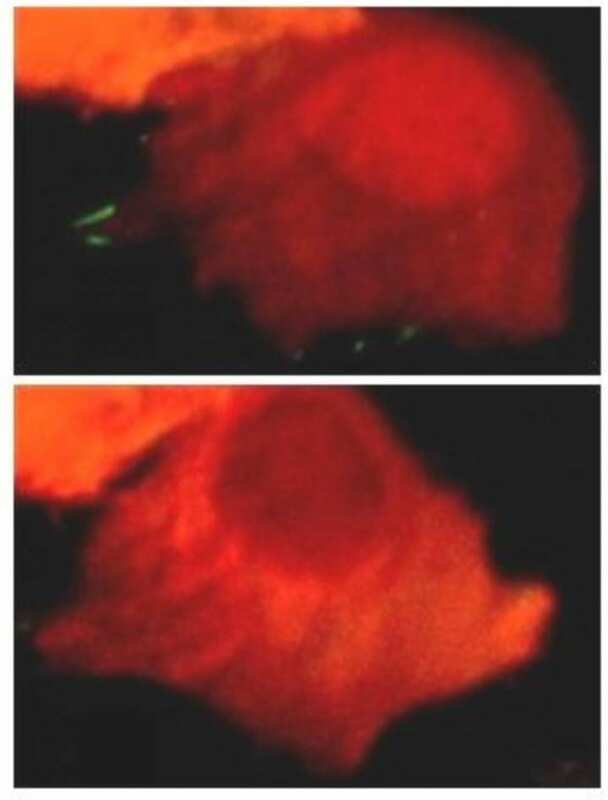 Looking for the mechanism behind this effect, the researchers perturbed various proteins in the cell, including those associated with Ras and others associated with the cytoskeleton, the cellular machinery responsible for the protrusions. Several of these perturbations induced the protrusions–and consequently, ERK activity–giving insight on other key proteins involved in the Ras-ERK pathway. Other Johns Hopkins researchers who participated in this study include Sayak Bhattacharya, Hoku West-Foyle, Chien-Fu Hung, T.-C. Wu, and Pablo A. Iglesias. This work was supported in part by grants from the National Institutes of Health K22CA212060, P50CA098252, R01CA183040, S10 OD018118, a Cervical Cancer SPORE Career Development Award and DARPA HR0011-16-C-0139. Chuan-Hsiang “Bear” Huang is a member of the Sidney Kimmel Comprehensive Cancer Center at Johns Hopkins.